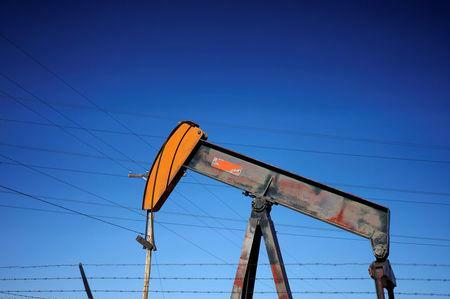 NEW YORK (Reuters) - Oil prices halted their rally on Monday, with both benchmarks down nearly 1 percent, after Russia's finance minister said Russia and OPEC may decide to boost production to fight for market share with the United States, where output remains at record highs. "There is a dilemma. What should we do with OPEC: should we lose the market, which is being occupied by the Americans, or quit the deal?" Siluanov, speaking in Washington, said, TASS reported. While the minister said he did not know whether OPEC countries would be happy with this scenario, the group's de facto leader, Saudi Arabia, is considered keen to keep cutting, but sources within OPEC said it could raise output from July if disruptions continue elsewhere. "Today’s trade provided further evidence of a bull market beginning to show some wear and tear but also a market that doesn't appear to have achieved an interim price top," Jim Ritterbusch, president of Ritterbusch and Associates, said in a note. "Although talk of potential Russian production increase appeared to weigh on values today, the Saudis remain adamant in spearheading a sharp OPEC output cut that has thus far remained undeterred by Brent values above the $70 mark."